Oakland Community Acupuncture - What is Traditional Chinese Medicine (TCM)? "I would recommend Ky and Chris wholeheartedly. They truly believe in what they are doing and they will help you in any way possible to make you understand how your body works and make you feel good with whatever is bothering you. They have made a difference in my life--I think they are great." Through observing the laws of nature, communities, the human body, and their interrelationships, the Chinese developed an elegant medical philosophy to maintain a healthy, balanced life. They view the human body as a microcosm of the universe. Health exists when humans live in harmony with the laws of nature. Some 5,000 years ago, the Chinese began to record this information of health and healing. Traditional Chinese Medicine is one of the oldest and best-documented systems of healing in the world. The TCM knowledge available today is a culmination of the clinical experiences of thousands of doctors over thousands of years, treating billions of people. 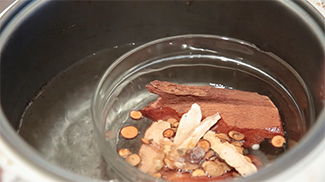 TCM utilizes many different treatment modalities in its system of healing. The most common therapies are Acupuncture, Herbal Medicine, Massage, Diet and Nutrition, and Physical Exercise (Qigong and T'ai Chi). A fundamental concept of TCM is the idea of “qi,” which means life force or energy. TCM views disease as an imbalance of qi in the human body. When the qi-- i.e. oxygen, blood circulation, nerve impulses, hormones, etc.--is impeded or deficient, diseases and illnesses arise. The primary focus of TCM is to restore the body’s homeostasis and support all the body systems to effectively heal any disease, and most importantly, to prevent it. Acupuncture is the insertion of thin, disposable stainless steel needles through the skin at specific sites to regulate the body´s qi, i.e. oxygen, blood circulation, nerve impulses, hormones, etc. According to Traditional Chinese Medical Theory, qi flows throughout the body in a network of channels and vessels. Acupuncture serves to harmonize and distribute the qi to areas of the body that contain blockages or deficiencies in order to facilitate the healing process. 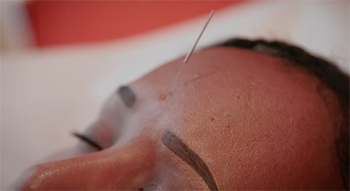 Recently, the National Institute of Health (NIH) and the World Health Organizations (WHO) recognized the effectiveness of acupuncture in treating many conditions. Click here for more information about acupuncture´s effectiveness. Our ancestors discovered therapeutic herbs in much the same way that they discovered edible foods: by trial and error and by observing what other animals ate. Herbal medicine is a very important aspect of Traditional Chinese Medicine and is especially effective when used in conjunction with acupuncture. Today, most pharmaceutical drugs are isolated compounds derived from plants and herbs. Chinese herbs are usually combined together in herbal formulas based on each patient´s specific TCM diagnosis. Herbs are generally safe and effective, producing minimal side effects when prescribed by a licensed practitioner. There are several ways to administer herbal formulas: pills, tablets, tinctures, powdered extracts, and dried raw herbs that are decocted to make tea. Tui Na is a physiotherapy medical massage very effective in treating all kinds of musculo-skeletal disorders, including sports injuries, joint pain, frozen shoulder, low back pain, TMJ, etc. Tui Na employs many techniques, such as kneading, acupressure, joint mobilization, stretching, percussion, and cross-fiber friction, to strengthen bones, reduce inflammation, smooth connective tissue, relax muscles, increase flexibility, and provide greater range of motion to the joints. These folks are not just great at Acupuncture, they are really trying to do something for the community. They offer reduced rate services for those that can't really afford the full price, although for me they are very inexpensive because they take my insurance. Chinese medicine is a very real treatment everyone should consider, especially if your regular medical folks are trying to give you a lot of medication or surgery!